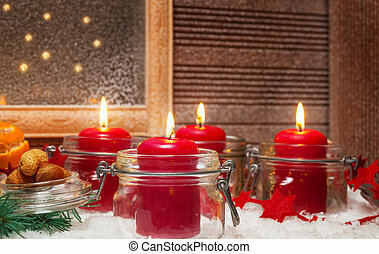 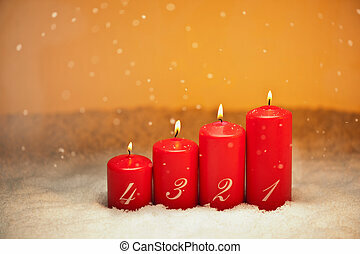 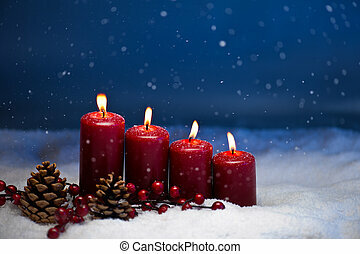 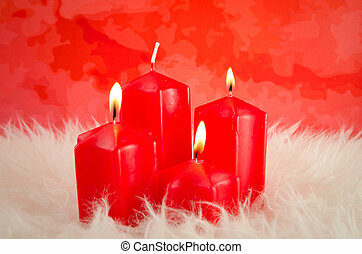 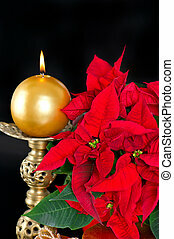 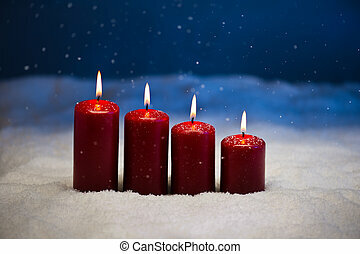 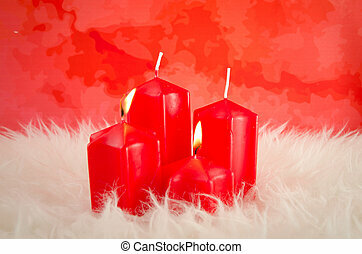 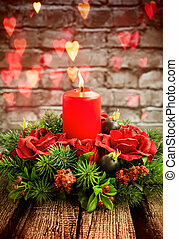 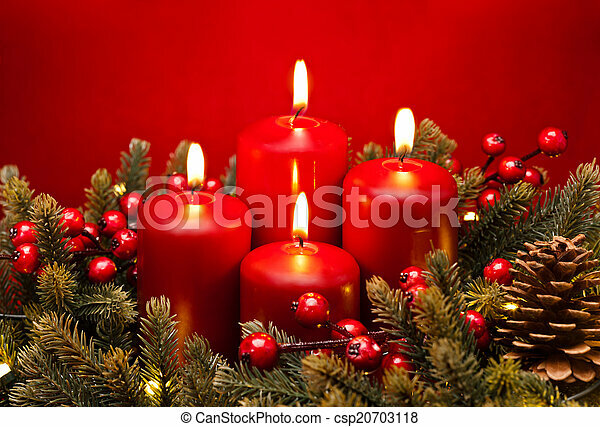 4th advent red candle flower arrangement. 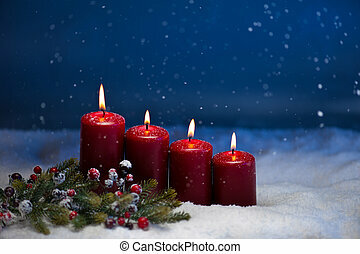 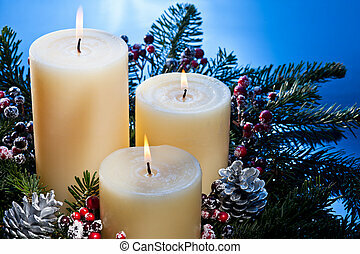 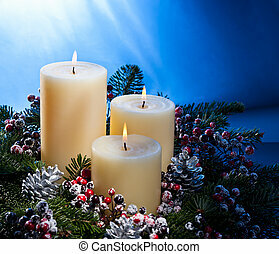 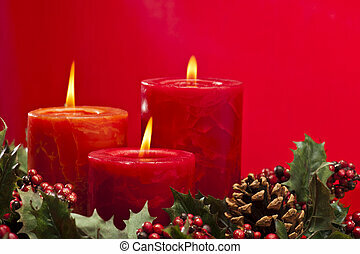 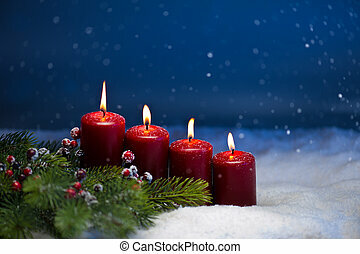 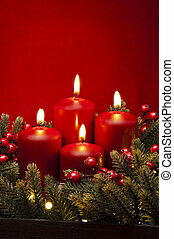 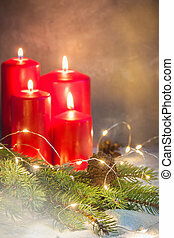 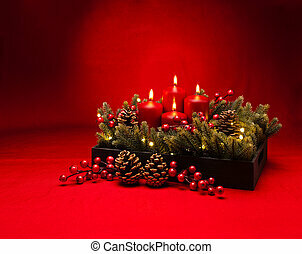 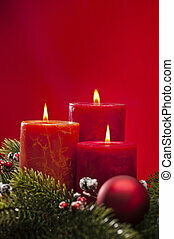 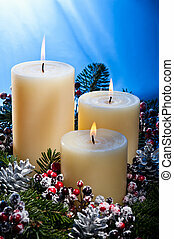 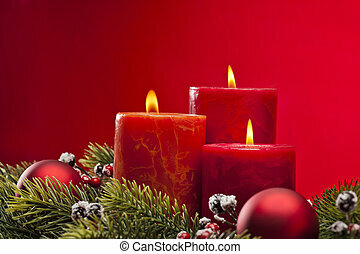 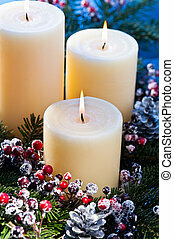 4th advent red candle christmas flower arrangement with berries. 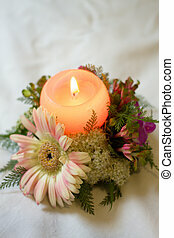 flower arrangement with candle . 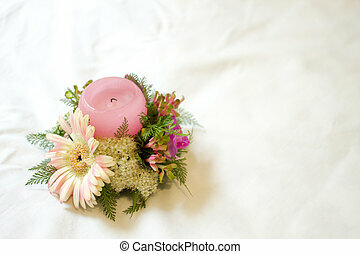 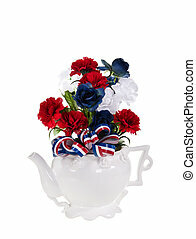 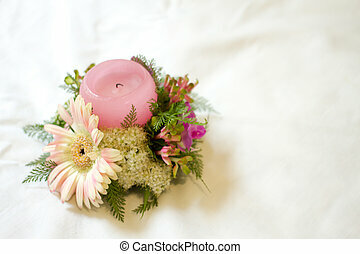 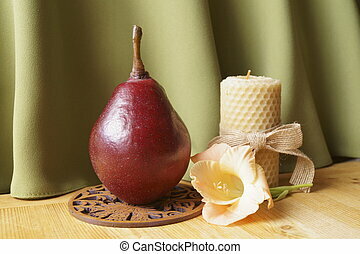 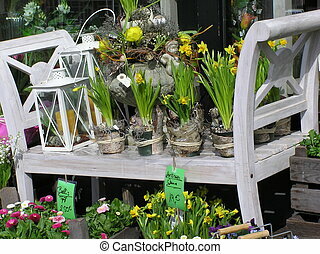 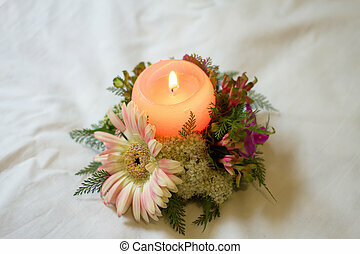 flower arrangement with candle on table. 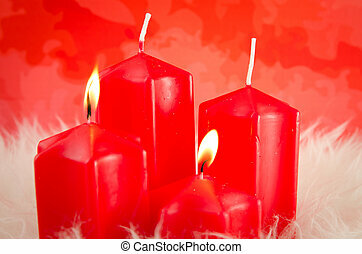 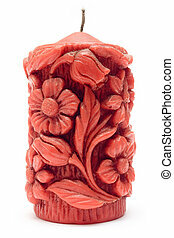 Close-up on red candle isolated on white.